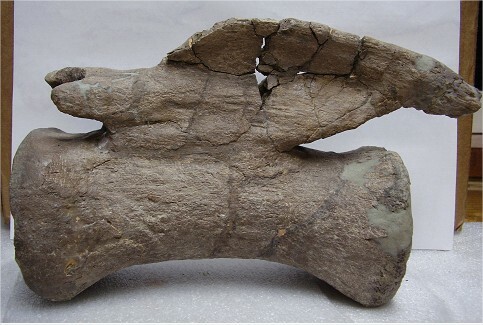 Reconstruction photos of a dinosaur caudal vertebra. 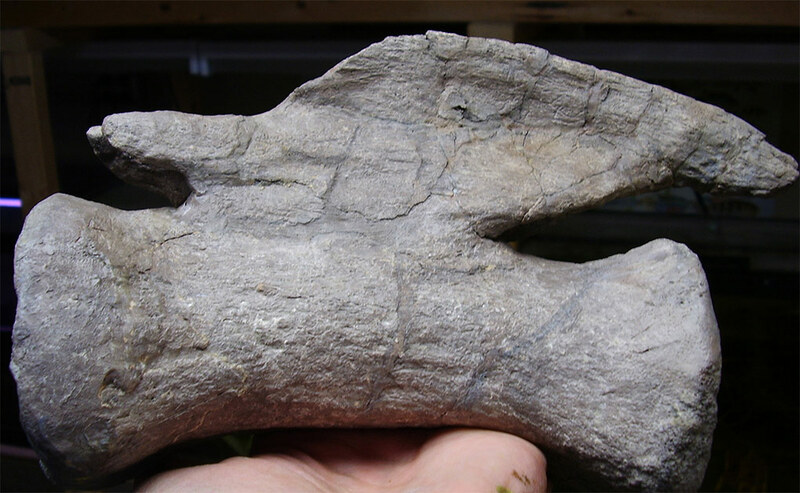 Vertebra was accidentally dropped by the owner but owner collected all the broken pieces and sent them to Robert. Robert was able to reconstruct the anterior and posterior zygapophyses and reattach to centra. Then all cracks were filled with epoxy putty.